Since 2015 I have been the meteorologist for the British Sailing Team, and forecasting at the Olympics & Paralympics in Rio was fantastic, if rather challenging. I have also been the forecaster for the Clipper Round the World Race since 2011, with other clients ranging from ocean rowers to TV production companies. 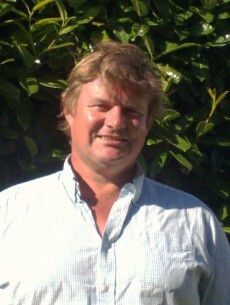 I have been a yachting professional since 1997, starting off as an instructor before working for Clipper Ventures both as a round the world race skipper on the winning boat in the 2002 race and as assistant race director in charge of the day to day operations and all the skipper and crew training for the 2005 race. I am an RYA Ocean Yachtmaster Examiner and spent two years as Chief Instructor at UKSA in Cowes before going back to university in 2009 to study meteorology at the University of Reading, finishing the MSc course in 2010 with a distinction and a dissertation investigating how hurricanes start in the North Atlantic. Before all this I spent seven years as an engineer on oil rigs in various usually insalubrious parts of the world, and have a thorough grasp of the many and varied uses of both gaffer and self-amalgamating tape, and of how to find a machine shop that can cut a 1 inch left hand thread in Brazil on a Sunday. I live with my wife Gail in Cornwall on the eastern side of the Carrick Roads in Falmouth Harbour with our two spaniels, Nelson and Molly.